Enhancing the style and protection of your Toyota RAV4 is made easy with the use of Painted Molding with a Color Insert. 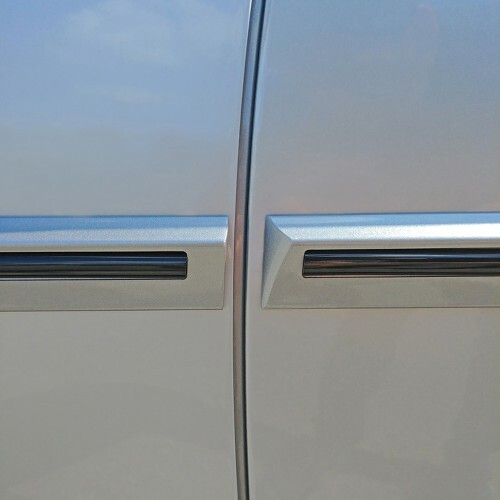 This Dawn Enterprises Painted Molding with a Color Insert kit offers an added layer of protection against shopping carts, door dings, scratches, and other road hazards. 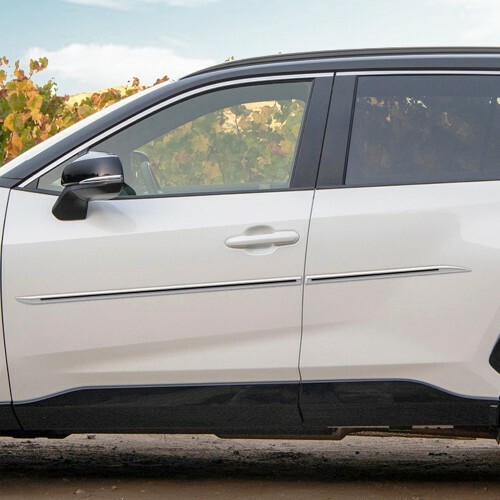 Unlike factory door moldings, this set of Painted Molding with a Color Insert installs at an angle to give your Toyota RAV4 a custom, sleek, and stylish look. 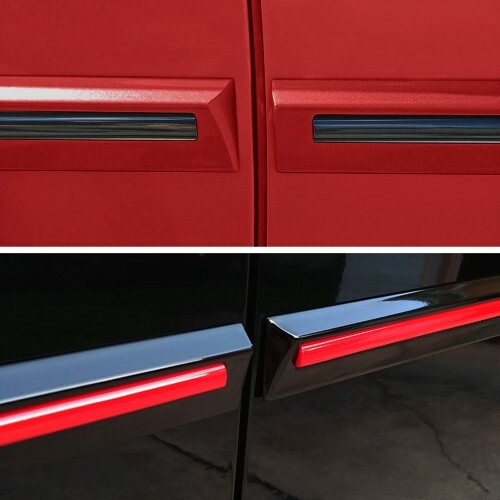 This Painted Molding with a Color Insert features a look that is exclusive to Dawn Enterprises automotive moldings. 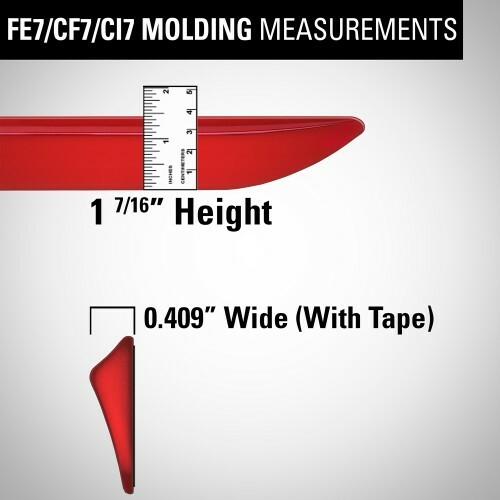 Every set of Painted Molding with a Color Insert is meticulously inspected and carefully checked for quality by a control team to ensure that you’ll be receiving a product that’s free of any defects. This set of Painted Molding with a Color Insert comes with a lifetime warranty, guaranteeing a product that will last on your Toyota RAV4 for years. 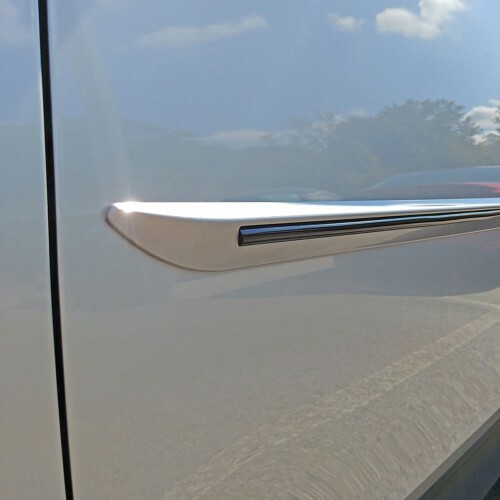 These Painted Moldings with a Color insert have been measured and manufactured for the exact specifications of your Toyota RAV4, and then they are factory tested to match the bends and curves of your doors perfectly. 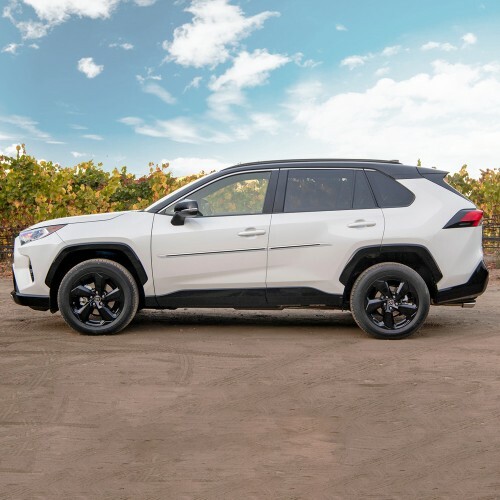 No drilling is required when installing Painted Molding with a Color Insert to your Toyota RAV4, every set of Painted Molding with a Color Insert comes with all the hardware needed for installation. 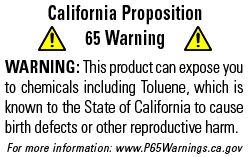 The entire installation process takes less than an hour, and no prior installation experience is required. 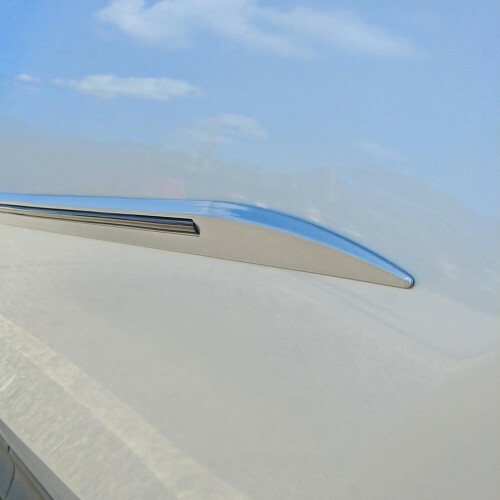 Protect your Toyota RAV4 and enhance the visual appeal of it with the easy installation of Painted Moldings with a Color Insert from Dawn Enterprises. Order a set of Painted Moldings with a Color Insert today!